Salvation And Survival: The Middle East On Fire! 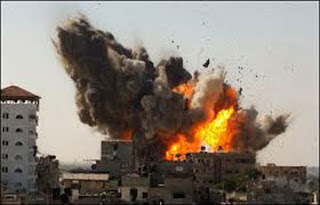 The Middle East On Fire! I have chosen not to comment on the Middle East of late, because it is so volatile and so many issues going on at once that I literally didn't know what to concentrate on. But in my limited knowledge of world history and cultures, I think it is becoming clearer to me. PLW has educated me, and I will admit that it still baffles me, but it appears that underneath all the violence and power struggles, there lies a simple truth .... at the center of the hostilities and threats of war is the age-old battle between the Shi'ites and the Sunnis. An article in the Times of Israel further helped elucidate the issue for me. Here's the history: The Sunni-Shi’ite conflict is rooted in the question of who should succeed Muhammad in leading Muslims after his death in 632. Shi’ites say the prophet’s cousin and son-in-law Ali was his rightful successor but was cheated when authority went to those the Sunnis call the four “Rightfully Guided Caliphs” — Abu Bakr, Omar and Othman and, finally, Ali. Sunnis are the majority across the Islamic world. In the Middle East, Shi’ites have strong majorities in Iran, Iraq and Bahrain, with significant communities in Lebanon, Yemen, Syria, Saudi Arabia, Kuwait and other parts of the Gulf. Centuries have passed, but the bitter disputes of early Islam still resonate among the modern nations in the Middle East. To be honest, from what I've read, it appears as if we, the U.S., helped ignite the ancient hatred when we helped topple Suddam Hussein in 2003. The long-oppressed Shi’ite majority there saw a chance to take power. Sunnis feared the repression would flip onto them. The result was vicious sectarian fighting that lasted until 2008: Sunni extremists pulled Shi’ite pilgrims from buses and gunned them down; Shi’ite militiamen kidnapped Sunnis, dumping their tortured bodies later. Advance a few years to the Arab Spring, and the hopes for democracy in the Middle East. There was a lot of talk about the desire for democratic ideals, but as a local businessman in Iraq explains, "Democracy needs open-mindedness, forgiveness and an ability to understand the other," something that has not been realized because of the deep sectarian feuds. These partisan feelings have spilled over to surrounding nations, including Lebanon and Syria. In fact, Syria’s civil war has fueled those tensions. Lebanon’s Sunnis largely back the mainly Sunni rebellion, while Shi’ites support President Bashar Assad’s regime, which is dominated by his Alawite sect, an offshoot of Shi’ism. Hezbollah sent fighters to help Assad fight the rebels, enraging Sunnis region-wide. Throw Hezbollah and Al-Queda into that mix, and you have a tinderbox. Then there's Iran. This Shi’ite powerhouse of the Middle East is home to a government led by Shi’ite clerics with lots of oil wealth and a powerful Revolutionary Guard. Tehran has extended its influence in the Arab world, mainly through its alliance with Syria, Hezbollah in Lebanon and Hamas in the Palestinian territories. Iran has presented that alliance not as sectarian but as the center of “resistance” against Israel. This puts them in direct conflict with the House of Saud. 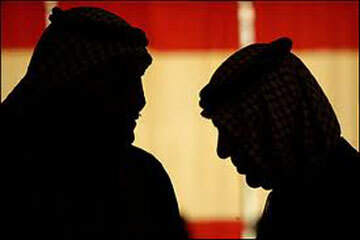 Sunni Saudi Arabia and other Gulf allies have been trying to stem Iran’s influence, in part by warning of the spread of Shi’ism. Saudi Arabia’s hard-line Wahhabi interpretation of Sunni Islam views Shi’ism as heresy. As if all these varying governments, alliances and sectarian differences aren't confusing enough, we still haven't considered where Egypt fits into this mess. In Egypt, the Muslim population is overwhelmingly Sunni, and many Egyptians know little about Shi’ites. The Shi’ite population is tiny and largely hidden — so secretive that its numbers are not really known. And can you blame them? The rise of the Muslim Brotherhood, who are Sunni, has caused the Shi'ite population to stay in the shadows. And ultraconservative Salafis, many of whom view Shi’ites as infidels, have become more politically powerful and more vocal since the 2011 fall of Hosni Mubarak. They often preach against Shi’ism, warning it will spread to Egypt. Finally, let's not forget the Palestinian territories, who are predominantly Sunnis. Their main connection to the Shi’ite world was Hamas’ alliance with Iran. But those ties were strained when Hamas, which rules the Gaza Strip, broke its connections with Syria because of the civil war. Confused yet? It seems to me that allegiances change often and dramatically. In fact, the participants can't even agree whether the violence and fighting is religious or political. There are those who think that the Middle East conflict is at its core a religious conflict. They think that the Shi’ites want to destroy Islam. They accuse the Lebanese Shi'ites of controlling the situation, and the ones who are causing the sectarian strife. So with all this back-and-forth, how can there ever be a solution or a lasting peace? And it seems that the powder keg has been lit and is on the verge of exploding. The two sects worship the same God, yet they hate each other. The only thing they seem to be able to agree on is the mutual desire to annihilate Israel. So how do we traverse this minefield? I firmly believe that God will decide the outcome and is actually in control of these events. Our eyes may be centered on the unrest in all the afore-mentioned countries, but never forget that God's attention is focused on His chosen people. Scripture seems to be playing out nightly on our computer and TV screens. It looks like it is getting out of hand, and World War III is just around the corner. But never fear. In reality, God's hand is firmly on the situation, and His will will be done! Zechariah 12:2-3 "Behold, I am about to make Jerusalem a cup of staggering to all the surrounding peoples. The siege of Jerusalem will also be against Judah. On that day I will make Jerusalem a heavy stone for all the peoples. All who lift it will surely hurt themselves. And all the nations of the earth will gather against it." I couldn't have said it better myself. Remember, the key drive of Islam: Convert, submit, or die. The Sunnis want the conversion to go their way, the Shi'a want it to go theirs. The "submit, or die" parts are still the same for the rest of us. Just got back from USNA. I'll send you some photos via email. Thanks! Although I prefer to hear about your up-close-and-personal experiences. It gives me such an individualized concept of what's going on in the Middle East. And can't wait to see the photos!